Crossing for pedestrians are indicated by road markings, signs or lights where people may cross the road safely. It is the driver's responsibility to give way at all forms of crossings. It is an offence to overtake another vehicle that is stopping or has stopped at a crossing for the purposes of giving way to pedestrians or cyclists using the crossing. Marked foot crossings have two parallel broken white lines indicating where pedestrians must cross with pedestrian lights facing pedestrians and traffic lights facing drivers. These crossings are located at intersections with signals and may also be located between intersections. Pedestrian push buttons are provided at these crossings to activate the red traffic light to stop road traffic allowing pedestrians to cross safely. Lights with a green or red pedestrian symbol are displayed for pedestrians, and may be accompanied by a signal counting down the time until the red pedestrian symbol is displayed. Pedestrian crossings have white parallel stripes across the road with pedestrian crossing signs as shown in example 15, and may include two yellow alternating flashing lights. They are also known as zebra crossings. When a pedestrian crossing is placed on a raised section of road they are known as Wombat crossings and are usually accompanied by a 40km/h speed limit. You must give way to any pedestrian or bicycle rider on a pedestrian crossing. Remember that children do not always have good road safety sense and can also be easily distracted - you need to be more cautious when they are near a road than you might be with adults. 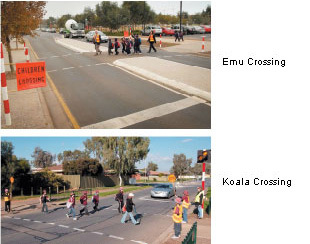 'koala' crossings - have red and white posts at the edge of the road and two yellow alternating flashing lights. As indicated by a sign, a speed limit of 25 km/h applies when the lights are flashing. 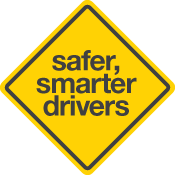 Drivers have a responsibility to take extra care at these locations. Children's crossings have been designed for the protection of school children and adults, and operate (i.e. the flags are displayed or the lights are flashing) usually during the times that children are expected to cross the road. When approaching a pedestrian or children's crossing, you must drive at a speed that allows you to stop your vehicle safely before the crossing. If a school crossing monitor displays a STOP sign, you must stop your vehicle at the stop line. You may proceed only when the sign is no longer displayed towards you. You must stop when any pedestrian or bicycle rider is on, or entering, a children's crossing. You must not proceed until there is no pedestrian or bicycle rider on, or entering, the crossing. when the crossing is closed by gates or boom barriers. Take particular care where there are multiple tracks. There may be trains or trams approaching from either direction. Do not attempt to cross the line(s) unless there is a clear passage through the crossing and you can drive completely clear off the crossing. Obey the signs and signals, look for trains, and never enter a crossing unless you can safely clear the tracks without stopping. Always assume a train is approaching. 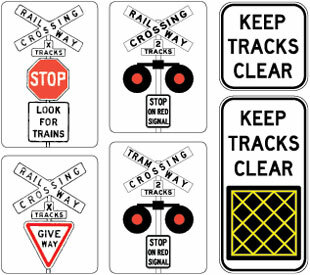 At some crossings there may be a Keep Tracks Clear sign erected to remind motorists not to stop on a level crossing. It may also identify that yellow box markings have been painted on the road pavement to enable easy identification of the level crossing area. If a Stop sign is erected (with or without warning devices), you must stop your vehicle at or as near as practicable to the Stop sign or Stop line and give way to any train or tram on, entering or approaching the crossing. If a Give Way sign is erected (with or without warning devices), you must slow down and be prepared to stop and give way to any train or tram on entering or approaching the crossing. 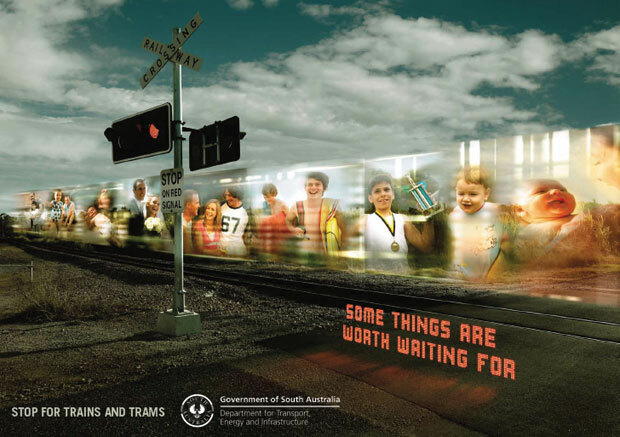 You must not park your vehicle so that the nearest part is closer than 20 metres before any of the rails or tracks, or 20 metres after any of the rails or tracks (Example 16).